The vibrant pink color of dragon fruit simply demands one's attention. 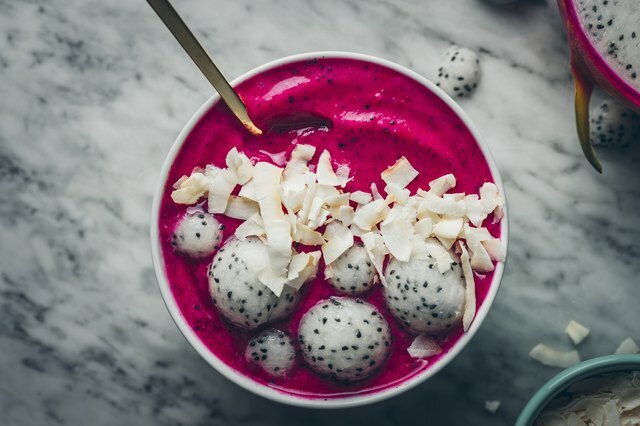 This beautiful and tasty fruit has been a popular ingredient at local smoothie shops for a while now, but now they're rapidly becoming more available at grocery stores. 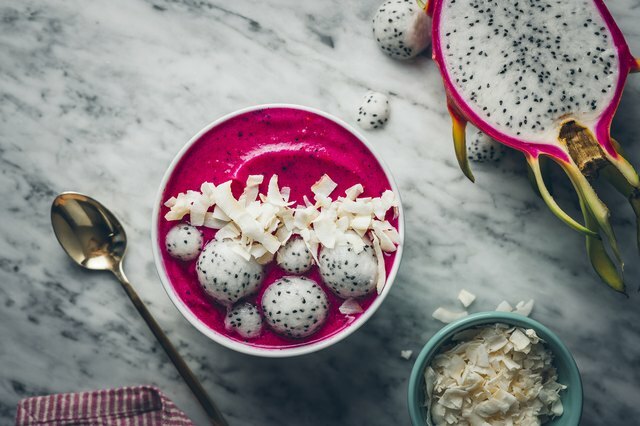 It's wonderfully flavorful and filled with health benefits, making this smoothie bowl recipe both an easy and enjoyable way to start off the day. Toppings to garnish: coconut chips, dragon fruit, etc. Blend on high until creamy and thick. 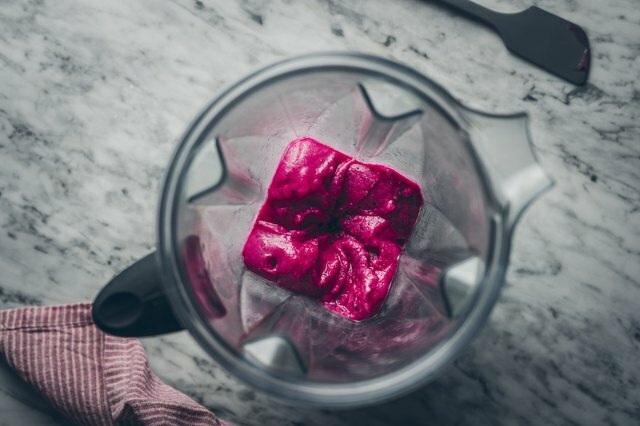 You may have to stop your blender and scrape down the sides a few times during the blending process to help things blend properly. Once blended, add the thick smoothie to a small bowl and enjoy with your choice of toppings! This recipe makes one smoothie bowl.